Librarians wear a multitude of hats throughout an average workday, acting as teachers, colleagues, advocates, and coordinators, among other roles. 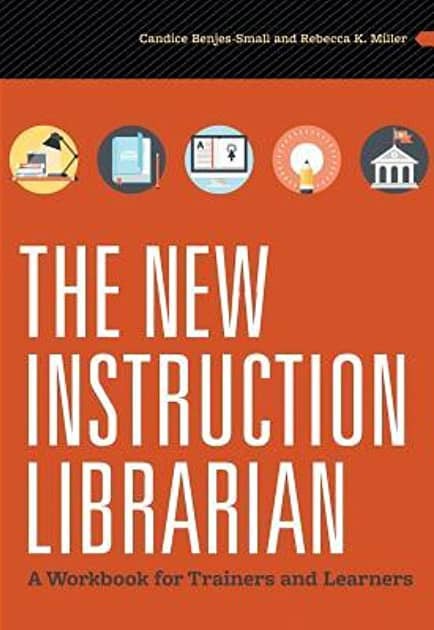 In their recent book, The New Instruction Librarian: A Workbook for Trainers and Learners (ALA Editions, 2017), authors Candice Benjes-Small and Rebecca Kate Miller examine the many roles that instruction librarians inhabit, and how they can navigate each with ease. Benjes-Small is head of information literacy and outreach and university coordinator of information literacy for the general education curriculum at Radford (Va.) University. Miller is head of library learning services at Penn State University Libraries in State College, Pennsylvania. An excerpt from their book was published in the November/December 2017 issue of American Libraries. Candice Benjes-Small: One of my new librarians, Katelyn Tucker Burton, suggested we present at some regional conferences about our library’s training program for instruction. The response was overwhelming. Our presentations were packed, and attendees shared over and over how they had been thrown head first into the library classroom with little to no training. I was a bit horrified—that couldn’t have been beneficial to the librarian or the students—but in follow up conversations, I realized the lack of training was usually due to insufficient time and resources. I thought a practical workbook that serves as a training program for new librarians could fill a gap in the library literature. Rebecca Kate Miller: Candice approached me about coauthoring at the same time I was stepping into a management role. 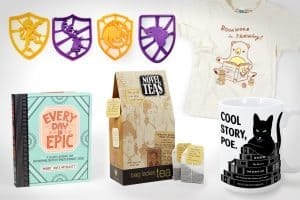 I was responsible for on-boarding and supporting new instruction librarians and really wished that a practical resource like this one existed. Even though this book didn’t exist when I first needed it, I’m really excited that we’ve been able to create it as a way of sharing our experiences, questions, and challenges with others in our field. 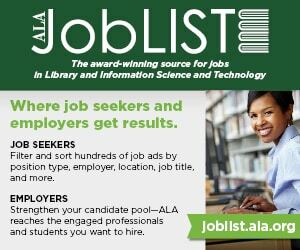 Why would ALA members find it helpful? CBS: This book is intended for any library professional with instruction duties, including recent LIS graduates in their first professional position; librarians who are more established but have only recently taken on instruction responsibilities; and colleagues who are tasked with hiring and training new instruction librarians. While geared towards librarians in academic settings, anyone involved in teaching or training should find it applicable. RKM: The primary audience for this book includes new instruction librarians and those who train or support them, but anyone involved with teaching or learning in any kind of library will find it helpful. Experienced teaching librarians who find themselves entering into a new professional role or environment will find this book helpful, as a number of the discussions and activities relate to understanding different organizational contexts and situating your role within a bigger system of work. CBS: In preparation for the book, we surveyed academic instruction librarians about the training they received in their first instruction positions. We had a great response—nearly 600 participants—and 68% said they had no formal training at that first library. Some respondents said they declined training because they already had a teaching background outside of libraries, but a majority said training was simply not offered. I knew from our conference presentation experiences that some people were expected to teach without training, but I had no idea that this experience was so prevalent. RKM: Some of my favorite parts are the “Ask the Experts” sections at the end of each chapter, where we ask experts in the field to respond to sticky instruction scenarios. I was really surprised by how many of them experienced the same common situations, but I was also blown away by the creative ways that each of them dealt with these scenarios and solved these problems. Incidentally, I was not at all surprised that so many of the experts we contacted agreed to participate—instruction librarians are a very supportive, sharing, and collaborative group. CBS: For work, I am reading Saundra Yancy McGuire’s Teach Students How to Learn; I’ve become very interested in helping learners build their metacognitive skills. For pleasure, I’m reading Kate Quinn’s The Alice Network, a novel about women spies in World War I and World War II. I highly recommend both. RKM: I’m currently halfway through No One is Coming to Save Us, by Stephanie Powell Watts, which was the first pick for the American Library Association’s Book Club Central. CBS: I am planning a teaching and training workshop series for librarians in Virginia through our state library association. 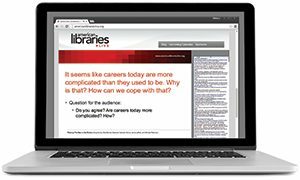 Our interest survey indicated a strong desire for professional development and networking opportunities for instruction librarians. We want to offer a combination of in-person and online sessions, using a flipped approach, focusing on librarians who have some experience in the classroom but would like to further expand and refine their practice. RKM: Oh, there are always so many projects! My favorite next project involves working with a number of other instruction librarians who have chosen to pursue leadership roles in libraries. We’re looking at how instruction and outreach skills transfer in very positive ways into leadership positions. This research can encourage instruction and public services librarians to consider using their strengths and skills in leadership roles to guide entire organizations beyond the classroom. The Badass Librarians of Jeopardy!